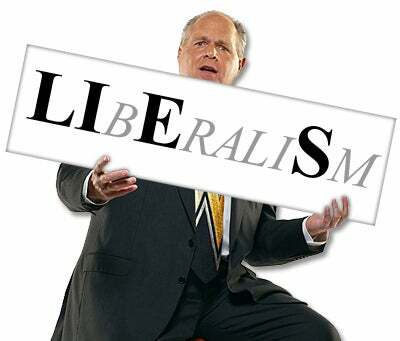 RUSH: Ladies and gentlemen, I’m here to tell you that the special counsel, Robert Mueller, that whole investigation, because of something I read today that I consider to be blockbuster… It’s by Lee Smith at TabletMag.com, and I’ll be telling you about it as the program unfolds. Not just because of this. I actually think that they’re no longer investigating Russia collusion. 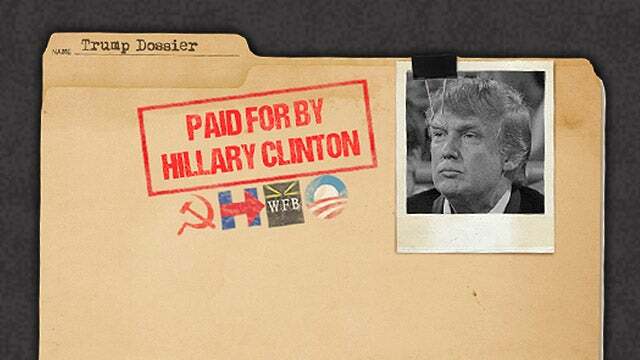 I think the dossier has now been totally exposed for what it is: A fraudulent document. I believe now people understand that Russian agents actually wrote it. Do you know this Christopher Steele guy who was the supposed author of the Trump dossier? Do any of you know…? Do any of you remember the name Alexander Litvinenko? I’m sure you don’t. But he was a Soviet/Russian agent who at one time became very vocally anti-Putin. He was poisoned to death in a London hotel lobby. He was with some friends and ordered some tea and he ended up consuming polonium-235, which is basically an offshoot of uranium radiation. “I — I — I think — I think the Mueller investigation… I — I — I really believe that we’re — we’re moving on now to obstruction. I — I — I think the collusion angle… I — I — I — I think Mueller has focused…” The reason she said that is because she knows that there is nothing to it! First off, collusion’s not a crime. What they mean by it is Russia and Trump conspired to cheat Hillary and steal the election, and there’s no evidence for it, and it’s pretty much acknowledged now. It may not be reported. The Drive-Bys are not reporting this. But all this smart money inside the Beltway knows that that has bombed out, that there’s nothing there, and now everybody’s in a CYA mode. It may even be that Glenn Simpson lied to Congress about some things in his testimony last year that Dianne Feinstein just recently made public. RUSH: This Trump dossier, the actual truth is that it’s a lie. The actual truth is there’s nothing in it that’s factual. And it may be the biggest political scandal in the history of the country if that dossier was used to secure a FISA warrant to spy on a presidential candidate and his transition, if that actually happened, that’s the biggest political scandal that you and I will have ever encountered in our lifetimes and maybe ever. That is the kind of thing that can shake the foundations of a country to its core. To take an opposition research document bought and paid for by the Democrat candidate for president, created by a guy who let Russian agents literally write the thing. And then it’s presented to the FBI and the CIA as legitimate intel, and then taken to a judge at the FISA court and presented as evidence that Trump has colluded and conspired with Russia to steal an election and a FISA warrant is granted, do you realize the earth-shaking scope, if that actually happened? And now I am convinced that the Russian collusion or conspiracy story is no longer even being investigated by Mueller. I think they’ve dropped it. There’s nothing there. They’re moving on totally now to Trump obstructing justice. That’s the only place they can go where they might think they have anything because there’s nothing to the collusion story. That dossier behind closed doors has fallen apart. There’s nothing there. And the Democrats have pretty much admitted it. This is all about the likelihood that the Russians wrote the Trump dossier, not Steele. And they used him to implant that dossier into the American legal system. And not for any express purpose other than to just totally screw up the American political system, not just the electoral system. And it’s done that. “Consider, for instance, New York Times reporter Mark Mazzetti. In April 2017,” basically nine months ago, “his byline appeared on a story reporting that the starting point for the FBI probe into Donald Trump’s supposed collusion with Russia was a trip that a fringe Trump adviser named Carter Page made to Moscow in July 2016. Yet a few weeks ago,” the same New York Times reporter, Mark “Mazzetti was bylined on another story that effectively retracts the earlier one. The FBI investigation didn’t begin with this Trump campaign hanger-on” Carter Page. Can I read that to you again? The New York Times in April did a story saying the starting point for the official investigation into Trump stealing the election began with the Trump dossier. That’s April. On New Year’s Eve, the same New York Times writer wrote a story “stating that the FBI’s Russia investigation into the Trump campaign in fact had nothing to do with ‘a dossier compiled by a former British spy hired by (the Clinton) campaign. Instead, it was firsthand information from one of America’s closest intelligence allies’ that kicked off the probe,” quote, unquote. That was George Papadopoulos. This was the lie that the FBI had an informant at Trump Tower. They didn’t. Fusion GPS… Glenn Simpson said they had, the FBI had an informant in Trump Tower, and they tried to turn this George Papadopoulos guy, who had one drunken conversation with an Australian diplomat. In other words, the New York Times in April wrote that the Trump dossier is the reason for the investigation. On New Year’s Eve, they wrote that it’s not and it never was! It was George Papadopoulos. It was not Carter Page. Nobody saw the New York Times’ New Year’s Eve piece. (sigh) Well, people saw it, but it didn’t get amplified on, because it cut the legs out from under the entire premise of the Drive-By Media for all of 2017. The Trump dossier had nothing to do with the FBI’s investigation into Trump colluding with Russia. It wasn’t the dossier after all. No, it was George Papadopoulos, who Trump probably never even met. He is a hanger-on, a groupie adviser. Just as we have been lied to about that, we have been lied to about so much, and we’ve had so much misrepresented to us, including how brilliant and competent and successful Obama was and how dangerously dumb, stupid, illiterate and all that Trump is. Meanwhile, the nation, in the last year, has begun to look like America again. Nobody’s talking about “managing the decline,” and nobody’s trying to lower your expectations for you or your kids’ future. In fact, it’s just the opposite. It’s “Katie, bar the door,” once again, as it should be.